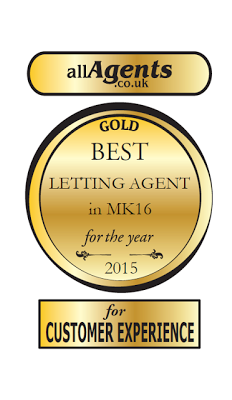 We are delighted to announce that AllAgents have awarded us ‘Best Letting Agent in Milton Keynes’ AND ‘Best Letting Agent in the MK16 Area’ for 2015! But what does this all mean and how is it relevant to all of our customers? AllAgents are the UK’s largest directory and review website, who are dedicated to the property industry, which compare estate and letting agents. They compare estate and letting agents to ensure that those interested in buying or letting a property receive the best customer care available, hence why we are very proud of our award. AllAgents work out their results by accumulating reviews from 1st September 2014 to 31st August 2015 and every agent had an equal opportunity to win these awards. All ratings and reviews are published on each Agents profile page, for the whole world to see. Here at Northwood Milton Keynes, we pride ourselves in providing an excellent customer experience. We have a total of 40 years of property experience to draw on and as our award shows, there is no one more capable to provide excellent property service to the buyers, sellers, landlords and tenants of Milton Keynes. Northwood as a group was also very successfully nationally, winning the 2015 award for Best UK Franchise and Best UK Large Chain. Our customer satisfaction is both locally and nationally, therefore providing you with the best service wherever you are!